This past Tuesday marked one of the most historical presidential elections to take place in American history. With a campaign season full of scandals, controversy and attacking one another, both Donald Trump and Hillary Clinton have made this year’s election one that will never be forgotten. It also will be studied by political scientists and media representatives long after the change in the guard at the White House. The 2016 election was closely followed by millions of people, and the results were greatly anticipated, especially by college students. So much so, that Tougaloo College hosted an election watch party for students and faculty as election results poured in after the voting places closed. This watch party followed a series of other events held by the college to get students more involved in the election process. 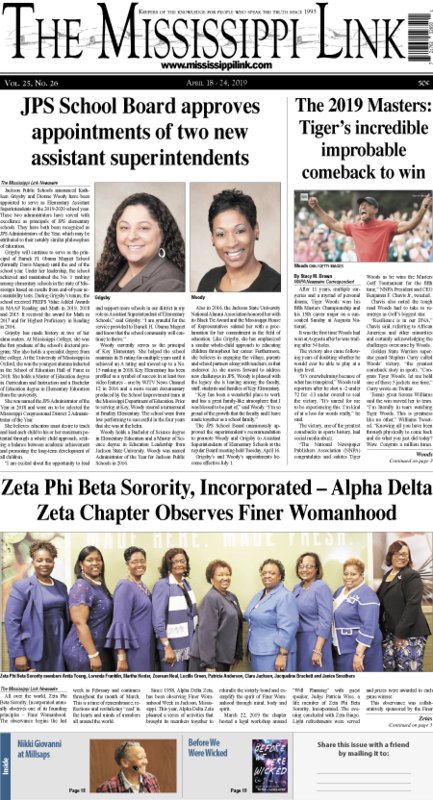 It allowed Tougaloo students to come together as a community to watch the results come in from each state and witness the resolution of one of the most talked about elections in history. Students were very aware of the significance of the election and the difference they could make in choosing the next president. They also understood the significance of watching the results unfold with their classmates. Raina Moussa-Kadri, a sophomore English major, voted earlier in the day. “Voting is important,” she said. “This election was important because it affects all of us, and it shapes our future. Neither candidate really brought anything to the table, but this election gave me a chance to make my own decision.” Students were also just grateful for the election to finally come to a conclusion. Tommy Powell, a senior computer science major, had similar ideas. He also was relieved to see this election come to an end. “I’m honestly not a fan of this election,” he said. Powell also gave his opinion on the importance of voting. “Yes, I voted. The reason was because I wanted my voice to be heard on whom I wanted the president to be.” He also understood and appreciated being able to watch the results come in live at the watch party. “I wanted to see live who my next president was going to be.” Other students shared the same feelings about being able to assemble in one place, watch with their peers and discuss the potential outcome of the nation. As the night went on and more results were revealed, students expressed more mixed feelings – of rejoice and sadness – at the decisions of voters across the country. 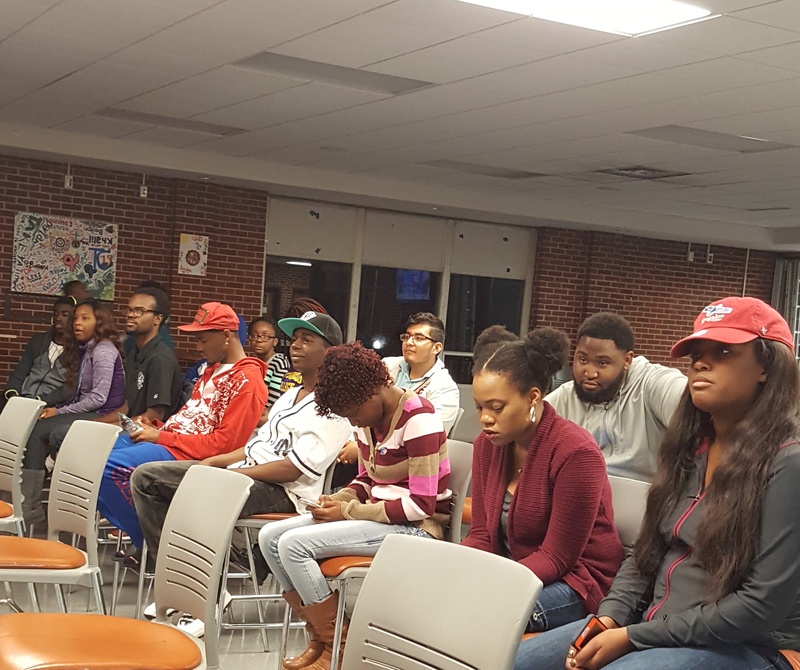 With this election night watch party, Tougaloo demonstrated that coming together as one can still be a wonderful thing, even when the outcome is not what you wanted it to be. 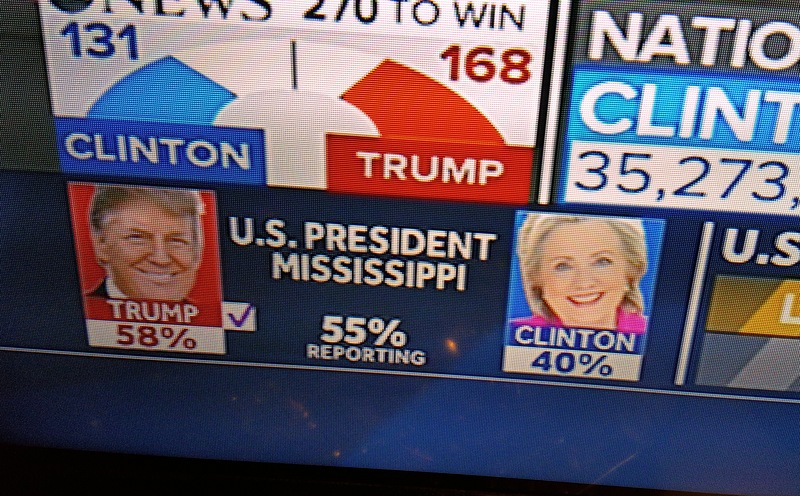 Donald Trump easily won the state of Mississippi. 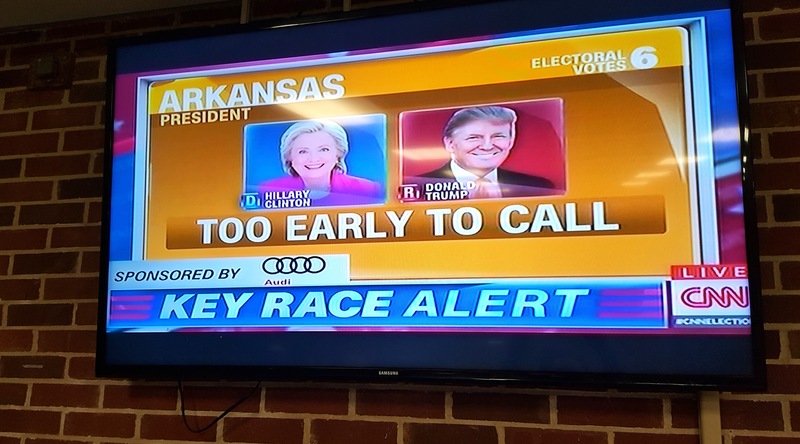 Arkansas was one of several states that were too early to call as polls closed crossed the nation.